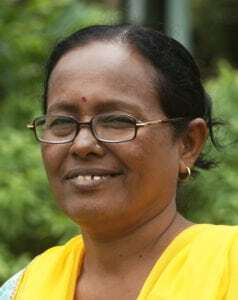 Pratibha’s work is centered in the Gandhian ideology of rural development which believes in the equality of men and women and that each individual has the potential for growth and if given opportunities. Since 1998, she has worked in the rural areas of Central India’s underdeveloped and underprivileged villages and worked with young people to facilitate an exchange between rural and urban populations through a fellowship. She also worked extensively for Prakriti’s program to promote economic self-reliance of women through self-help groups (SHGs). Pratibha and the organization have been working with women farmers, with single women to advocate for their rights and to safeguard their entitlements, like succession rights, fair representation in decision-making bodies etc. The organization is associated with regional and national networks and holds joint consultations and such other events to bring the demands and needs of women on a platform for redress. Pratibha also works with women elected into democratic institutions like Gram Panchayats and Gram Sabha, which are the local decision-making bodies and have the legitimate power to implement the program for the empowerment of women.